When preparing an ECU for S300/s200 (test s200 socketing using the supplied pins) installation it is very easy to make mistakes. Lifted tracks and dry joints can be very difficult to spot. This tester takes out all the guesswork. 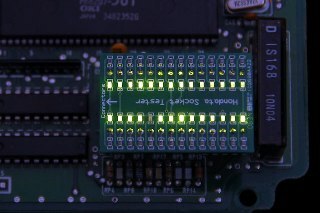 Simply plug it in and all LEDs will light up when the pins have a good connection. 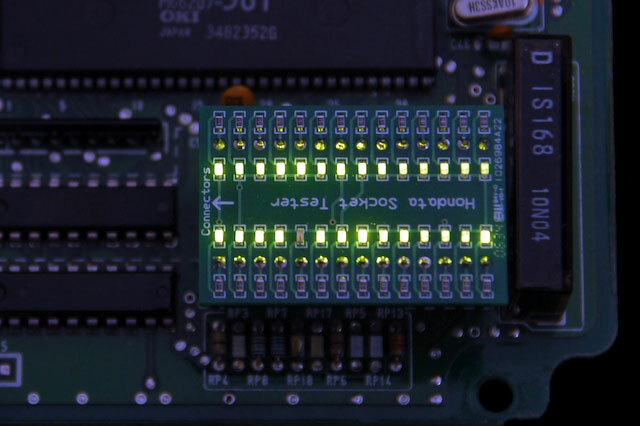 If a LED is not on, then you have a soldering or wiring problem on the respective pin. 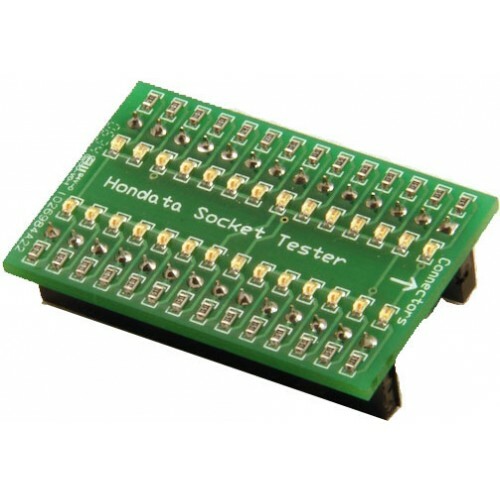 Note that the tester may not show an intermittent cold or dry solder joint, but it will flag the vast majority of installation problems.